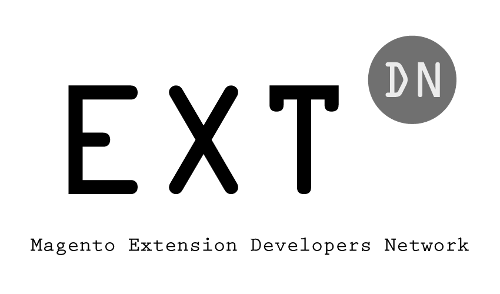 We have created about 60 extensions for Magento 1, so a common question now with the coming of Magento 2 is whether all of these extensions will work with Magento 2 too. Here's a FAQ that should answer (most of) your questions. Will module X be compatible with Magento 2? Will commercial module X be compatible with Magento 2? Will the module contain the same functionality? Will free module X be compatible with Magento 2? Can you help us with Magento 2 conversions? Will MageBridge be Magento 2 compatible? Will a Magento 1 extension work under Magento 2? Do you have an ETA on a specific extension? Yes, most likely. However the question needs to be answered per extension. We have created numerous modules, but you are actually not looking for a specific module, you are looking for specific functionality. Because Magento 2 is completely different from Magento 1, architecture wise, simply converting a module from Magento 1 to Magento 2 without thinking would be a bad idea. For each module, it needs to be investigated whether this functionality can be ported to Magento 2, whether it actually needs to be ported and which approach would be best to migrate code. As we make progress, we will add information to our listings of Magento 2 extensions. So make sure to checkout that information first. Also refer to the FAQs below for either commercial extensions or free extensions, because they require different strategies. Yes, most likely. With commercial modules, we are able to make money with our hard work of creating entirely new Magento 2 code. Because of this, we have a commitment here. If you are in need of a Magento 2 variation of some Magento 1 module, make sure to contact us, so we can discuss what can be done. In most cases, it is wrong to say that an extension X running under Magento 1 will also be running under Magento 2. It might be the same functionality (or actually similar functionality), but it is definitely not the same code. We personally prefer to migrate each extension under Magento 1 (for instance Yireo_Foobar) to a new Magento 2 code base from scratch with a new name by adding the number 2 (for instance Yireo_Foobar2). While we have a commitment to commercial modules, we also have a commitment to free modules. Actually, our first Magento 2 modules to be shipped, were free modules. If you want to check the work in progress, visit our GitHub repositories because all commits will be made there from day 1. No, unfortunately not. With MageBridge, you can combine Joomla and Magento in numerous ways. The Magento 1 module has been pretty static so far, but it has been including a lot of dirty hacks due to badly written Magento 1 extensions. Additionally, MageBridge attracted for the major part, non-developers who sought to have Magento functionality without the help of a real PHP developer being involved. Magento 2 is a lot more complex and we believe that no Magento 2 shop should ever be built without the need of a developer. Because of this, we will not migrate the major functionality of MageBridge. Most likely, we will make some functionality available under Magento 2, but this will be meant for Magento developers, not Joomla site owners. No. Magento 2 is not Magento 1. Whatever was created under Magento 1 has to be recreated under Magento 2. We do not offer any extensions that work under both Magento 1 and Magento 2. It does not work that way. What we do offer is Magento extensions that have similar functionality under Magento 1 and Magento 2. For instance, we have an EmailTester extension for Magento 1 and an EmailTester 2 extension for Magento 2. Code-wise they are not alike, functionality-wise they are - but they are different extensions. If you ask us for an ETA of a specific Magento 2 extension, the answer will always be the same: The ETA is not something we will keep a secret but will communicate professionally through our site. If there is no ETA for a specific extension communicated on our site yet, there is no ETA yet.